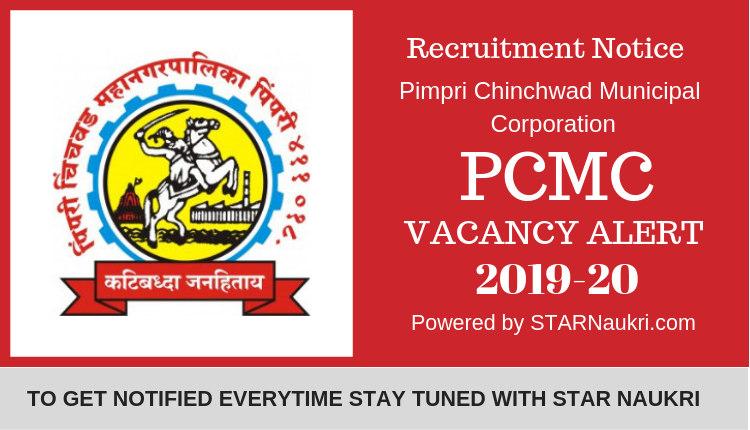 Pimpri Chinchwad Municipal Corporation recruitment notice on their official website. There are 130 vacancies for the posts of Gynecologist, Pediatrician, Anesthetist, Physician, Radiologist, Eye Specialist, Medical Officer, Residential Medical Officer, and so on. The details eligibility and application process are given & mentioned below. पिंपरी चिंचवड महानगरपालिका भर्ती नोटीस त्यांच्या अधिकृत वेबसाइटवर. हे भारतीय राज्यातील एक शहर आहे. स्त्री रोग विशेषज्ञ, बालरोगतज्ज्ञ, अनेस्थेटिस्ट, फिजिशियन, रेडिओलॉजिस्ट, नेत्र विशेषज्ञ, वैद्यकीय अधिकारी, निवासी वैद्यकीय अधिकारी, दंतचिकित्सक, औषधशास्त्र कर्मचारी, कर्मचारी नर्स, प्रयोगशाळा तंत्रज्ञान, एक्स-रे तंत्रज्ञान, फिजिओथेरेपिस्ट, हेल्पर आणि क्लीनर यांच्या पदांसाठी 130 रिक्त पद आहेत. या पदासाठी कागदपत्रे सादर करण्याची अंतिम तारीख 21 फेब्रुवारी 2019 आहे. ज्यांना या पोस्टमध्ये रस आहे आणि पात्रता निकषांनुसार त्यांनी त्यांचे फॉर्म सादर करावेत. तपशील पात्रता आणि अर्जाची प्रक्रिया खाली दिली आहे आणि खाली नमूद केली आहे. Indian Army published recruitment notice on their official website(www.pmc.gov.in). The Indian Army is the land based branch and the largest component of the Indian Armed Forces. There are 191 vacancies for the posts of the Short Service Commission (SSC) and Short Service Commission for Widow (SSCW). The last date for submitting documentation for the post is 21st February 2019. Those who are interested in these posts and according to the eligibility criteria they should submit their forms. The details eligibility and application process are given & mentioned below.